Marijuana Mythbusters » What to do with kief! « Weed Tea… Made from the best stuff on Earth! What to do with kief! In this article, we will teach you how to make hash. Making hash is our favorite thing to do with our kief, keep reading to find out the secret to making has for yourself. But, first. Hello everyone, if you’re new here we’d like to welcome you into the MJMB (Marijuana Mythbusters) community. As you all know we collect myths and put our stoner ingenuity to the test as we attempt to bust them or confirm them and share the results with you. Recently, we got a question from one of our loyal fans asking us what the best use would be for his kief (or keef, either way is correct). For anyone who is not familiar with the term, let me explain a little about what it is. When a marijuana plant reaches maturity in its growth cycle trichomes are formed on the leaves and buds of the plant. These trichomes are kief and they contain a higher concentration of THC than any other part of the plant. The buds and the leaves of the plant also contain THC, but trichomes are by far the most potent part of the plant. In fact, the word kief is derived from the Arabic word kayf, which means well-being or pleasure. We’ll get into this more at a later date, but for now let’s get started on what you need to do to turn your kief into the best hash you’ll ever smoke. Once you have a substantial amount collected (enough that your collection in your grinder is larger than any of your friends collections) there are several great things you can do with it. The first and most obvious is to just smoke it as it is; this can be alone in a pipe or bong, mixed with marijuana in a joint, sprinkled on top of a bowl pack before you hit it for the first time, or mixed with tobacco in a spliff. You can also purchase a kief press and turn it in to a little brick, which will make it easier to smoke in a bowl and also helps it to burn longer. The process of pressing kief is essentially what it means to make hash. In our instructions we suggest you use a little heat as well to help the kief bind together. Keep reading for a full set of instructions. You can also use kief to make THC infused butter or oil for use in brownies, cookies, or any recipes that call for the use of butter or oil; like pop corn, toast, garlic “herb” butter for steak, and anything else you could imagine. Check the Food Network for more ideas, haha. So, the best use kief. HASH!!! Based on the experiences of the Marijuana Myth Busters in Amsterdam and Christiania (an area of the city of Copenhagen, Denmark) we have concluded that the best use for kief would be pressing it into hash. Again, when you press kief and make it into a little ball or a little brick you are making hash, very pure and potent hash. Hash can be produced through many methods, put pressing kief produces some of the best tasting and most potent hash that you can find. The easiest way to do this would be to use a kief press, but there are other ways. You can simply take a small amount and roll it into a ball in between your palms, this method is very cheap but can be very sticky and messy. If you have about as much as is in the picture above that was sent in by one of our readers, you can use the following Marijuana Myth Busters approved method. If you don’t have an iron you can do any combination of things to simply press all the kief together, but the method listed above is by far the best small scale method out there. If anyone has any questions, feel free to post them and we will address them as they come in. 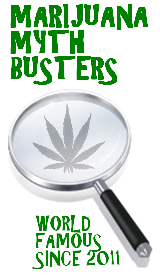 This entry was posted by Mythbuster on April 17, 2011 at 11:25 pm, and is filed under Reefer Recipes. Follow any responses to this post through RSS 2.0.You can leave a response or trackback from your own site. Know sure why do those pothead,s around me use lighter fluid to make there wax .I kind of had a feeling .wax being that easy . I would like to offer a caution…I’m sure the iron wouldn’t get hot enough on low, but wax melts at low temps. I have used parchment paper for years as a heat safe non stick surface for baking…works great and you don’t have to worry about wax melting into your food. i don’t want to contaminate with wax. What if your kief is finely grinded ,like dust almost ? That is exactly how it is supposed to be. The smaller the kief particles are, the purer your kief is. Press it, smoke it, bake it… whatever you do you are sure to enjoy it. Is it better to just plain press or heat and press your keif? Which is the more potent? Also, if a tiny amount of green gets through your filter, what is the best way to clean it for pure hash…or does it matter that much? No heat is safer, you could burn off some THC or degrade the THC and lower the THC content by using heat. if a tiny amount of green gets through, you need a smaller filter, but it doesn’t matter that much in the end. We can certainly work on getting one together for everyone. However, most of legal buds contain other plants and herbs which are known for there psychoactive properties. This is excellent information,thank you for making the world a greener place MB. Thank you for the comment… from Norway. Or at least, your Norwegian email address. Haha. Sure. Whatever you say. Also, what about this post inspired you to say that? Haha, you must be high. Good luck with your endeavor, let us know how it progresses. Awesome article, I will be browsing back usually to find posts.